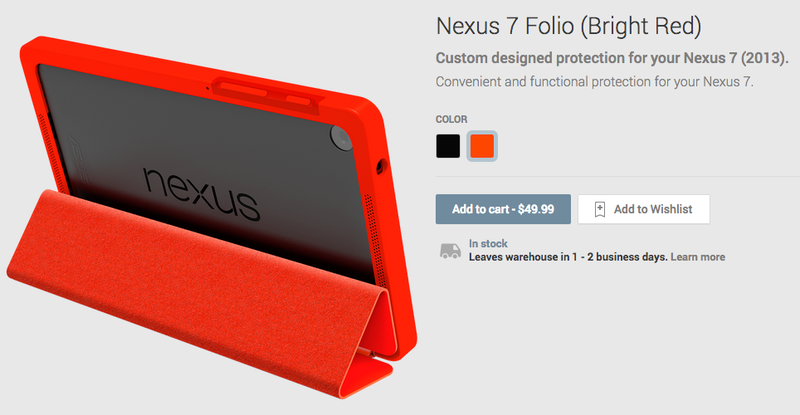 A new folio case just hit Google Play for the Nexus 7 (2013). It comes in either Bright Red or Black, and both will run you $49.99. With the case, you can keep your tablet safe by covering up its glass with the cover, which features magnets for “smart” screen on and screen off action. Plus, you can also use it as a stand while watching a movie or TV show or lower it for typing. Picking one up for the holidays?